Did You Hear That Jesus Was a Green-Eyed Brunette? Thank you FlyByPromotions for partnering with me on this blog post & the great giveaway! Do you ever go about life and wonder why certain things happen? …or, if you know the Lord, do you ever wonder why you don’t hear from him, like some other people tell you? We always hear stories of how God spoke to someone, and it sometimes makes us wonder if we’re listening, or just tuning Him out. I remember years ago, hearing the Lord speak to me and it about knocked me off of my feet. It can happen, it just doesn’t happen all of the time. That’s what this book focuses on. Instead of wanting that aura from the clouds and angels blowing trumpets feeling of God speaking to you, why not see how He is working through different places, or different people….like the green-eyed brunette! As it says in Romans 8:28, “And we know that in all things God works for the good of those who love him, who have been called according to his purpose.” Those times when you’re having a bad day and you see that person smiling in the grocery line….that’s God. When you feel that you are not cared about and get that phone call from a friend…that’s God. When you just don’t know how you’re going to pay the bills and find some cash in an old coat pocket….that’s God! He can be in the smallest of places and the largest, always doing what is best for those that he loves. Keep an eye out for that green-eyed brunette, or blue-eyed blonde in your life. Smile when you see how God is working through them in your life, or others and give praise to Him for His amazing work! If people saw less of us and more of Jesus, it would make a radical and significant impact on those around us. Read this exciting perspective on experiencing the sacred in the ordinary and loving others as Jesus loves us. 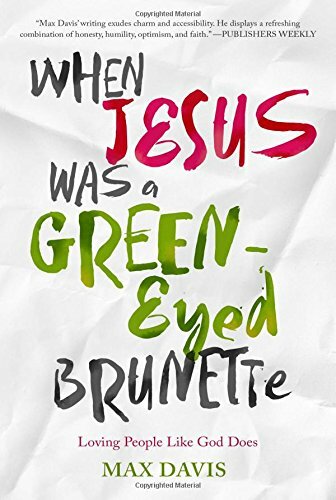 When Jesus Was a Green-Eyed Brunette weaves heartwarming and miraculous stories of Jesus showing up in ordinary people, revealing that He knows us and is fully present in our everyday circumstances, especially in our difficulties. As best-selling author Max Davis puts it, When we are born again, Jesus lives inside each of us. He is very much alive today and still does incredible things — sometimes supernatural things — through us! Davis’s own life was dramatically altered when he first came face-to-face with Jesus living inside a green-eyed brunette. That encounter started a forty-plus-year journey where Jesus became his best friend. When we see others as God sees us we will love them as God loves us. Those hurting and weary from worn-out religion are longing for a fresh touch from the living Jesus. By letting Jesus live through us we become a conduit of His love. Authentic Christianity is not about religion but a relationship with Jesus. Davis challenges us to do more than simply receive His grace — we need to allow grace to soften, change, and shape us. As you read this book, you will laugh, cry, and come face-to-face with the living Jesus. 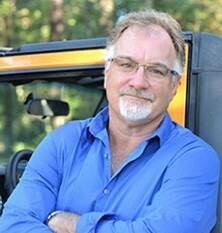 Max Davis is the author of over 20 published books and has been featured in USA Today and Publishers Weekly and has appeared on The Today Show and The 700 Club. He holds degrees in Journalism and Biblical Studies and is a much sought-after speaker for churches and organizations worldwide. He and his wife, Alanna, live on 50 beautiful acres in Greenwell Springs, Louisiana.